Hemp paper is quite a popular material these days; promoted as the eco-friendlier alternative to paper made from trees, more and more people are making the switch to it — that would be their bit to help ailing Mother Nature. But aside from that, hemp paper has always been a star product – long before eco-friendly became a widely accepted and used terminology, this type of paper was already figuring in important history. Listed below are cool historical trivia about it. It was the paper of choice for the Gutenberg Bible or the 42-line Bible which was the first major book printed with movable type in the West. It’s considered one of the most valuable books in the world. English-American political activist, author, political theorist and revolutionary Thomas Paine’s pamphlets, which influenced the start of the American Revolution, were written on hemp paper. All of American author Mark Twain’s 15 novels were originally printed on hemp paper. The US Constitution and the Declaration of Independence were both drafted on hemp paper before being transferred onto parchment. Now, as an eco-friendly material, here are three important things everybody should know about hemp paper. When it comes to durability, hemp fibre paper easily outperforms tree pulp paper. The acids which are needed for regular wood paper eat away at the pulp over time, causing the paper to discolour and fall apart. Hemp fibre has a higher cellulose percentage, therefore fewer chemicals are used to turn it into paper. Due to this, it can last centuries longer than wood paper. Some studies reveal that if commercial industries made the switch to hemp toilet paper, this change alone can make a big difference in the way global warming is addressed — from helping preserve more oxygen-releasing trees to decreasing the amount of toxic chemicals used for production that make their way to rivers and other bodies of water. It’s more recyclable than wood paper. 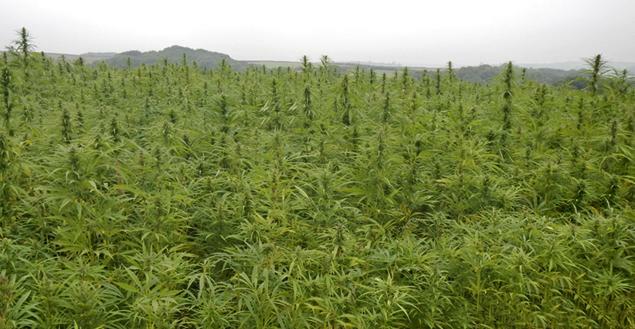 Plus, an acre of hemp can produce triple the amount of paper that an acre of trees can produce over a 20-year cycle.